We know that page loading speed is one of the SEO factors which affects the ranking in Search Engines results. I have noticed in Google Webmaster Tools that this blog qualitypoint.blogspot.com is loading slow. Since major part of the traffic for this blog is coming from search engines especially from Google, I had decided to improve the page loading speed even by removing some useful components. And therefore I removed some components which are used very rarely used or not much useful. Now, I hope the blog will be getting loaded faster. Still some components (e.g LinkWithin) are taking more time to load. But they are being used by many people. So, I am keeping them. Let me know if you see any error or any other issue after this change. And, let me know if you have any other suggestion to improve the page loading speed. PingDom.com Tools will be useful for getting details about loading of each component in any particular web page. And, we can use page speed firefox add-on for developing the webpage to loader faster. page speed can be downloaded from Google's web master tools. Wordpress Site for the Winner of the Article Writing Contest. As mentioned in my previous post I have asked the winner "Ella Green" about preference of the prize. i-e I asked whether Ella needs our Time Sheet or custom wordpress site. We have created a custom wordpress site ella.qualitypointtech.net and keeping it in our sub domain a per Ella's preference. Ella has decided to keep the site in our sub domain as articles will be getting more visibility in our sub domain comparing to hosting in separate domain. And, if you want to have similar website for you, we can develop it at affordable price. Contact me (rajamanickam.a@gmail.com) for more details. As specified in my previous posts, we are working hard to release lot of Tools useful for doing SEO and social media marketing. As part of this effort, today we have released initial version of Page Rank checking script for sorting the pages in a Domain based on Page Rank. This script will take the domain name as input and will get all the pages of the domain from Google. And, then it will get Google Page rank for all the pages. The pages will be sorted according to their Google Page Rank and the sorted results will be displayed in descending order. This script will be very useful for identifying the high page rank pages easily. Since the script needs to send request to Google for doing this task, the demo will take only 3 Google pages (i-e 30 pages). And, I am planning to host the full version in our server also. In this case you need to buy access code from me by making subscription payment. I will give more details about this plan later. Recently we have sold our Artspoint.net website. This site uses a cron job for automatically showing latest news about Music in the bookmarking module. In our hosting server, we use wget command in cron job for doing this thing. But, the news was not updated once we move the code to the buyer's server. During our debugging, we came to know that his server shows "permission denied" error message when the cronjob uses wget command. i-e we need to add below line in cronjob. So, it seems many web hosting companies are allowing curl while blocking wget command. If you want to use wget, you can choose the hosting which supports these commands. For example, Host Gator is the appropriate hosting which is flexible as well as secured. And, you can see Discount Coupon code for Host Gator at the end of my previous blog post. Twitter is not loading... UPDATE - It is back now? Twitter is currently facing difficulty it loading the page and Twitter Clients are not working. You will see "Twitter over capacity" error message if you use web client. Twitter is aware of this issue and it is working on to solve it. You can see the Twitter Status here to know the latest update about this issue. So, our Twitter application won't work properly till Twitter solves this issue. It seems Twitter is back now. Anyone else still facing Twitter loading issue? It seems still Twitter is not working for some people. Is Twitter working for you? You can share your experience thro' comments. Few days back I have explained about reason why Google is leading Search Industry. Google is taking many solid steps continuously to keep its leading position in Search. Recently Google has tweaked its algorithm further to give more importance for the original and valuable content. we launched a pretty big algorithmic improvement to our ranking—a change that noticeably impacts 11.8% of our queries. Few days back Google had released a Chrome Extension for allowing the users to block the unwanted sites in the Google's search results. You can freely download it from Chrome Web Store. If you block any website using the Extension the website details will be sent to Google for doing more analysis about those blocked sites for tuning the algorithm further. Google has said that the details collected from this site blocking extension is NOT used in this new algorithm change. But this algorithmic change addresses 84% of the Most-blocked sites of this Chrome Extension. So, this new algorithmic change will improve the search Quality of Google further. This SearchEngineLand Article says that Google targets Content Farm by this new algorithm Change. Now bing will show your "Facebook Likes" to your friends in search results. Bing has partnership with Facebook for integrating Facebook details in Bing's Search results. Bing Team has announced that Bing will start showing the links liked by your facebook friends. i-e It will show your "Facebook Likes" to your friends in search results. As I mentioned in my previous posts, the gap between SEO and Social media is getting reduced as major search engines integrating details from various social media sites in their search results to make use of the fast growth of Social media. 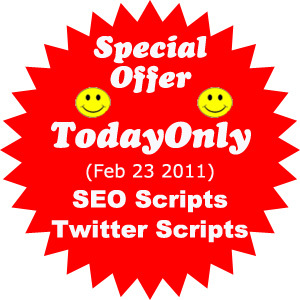 Special Offer Price (Today only) for our SEO Scripts and Twitter Tools Scripts. Today, we are providing special Offer price for our SEO Scripts and Twitter Tools Scripts as an effort to start marketing our products rigorously. So, if you buy these scripts today you can save significant amount of money. It is having option to find rank in multiple search engines for multiple keywords. This script is having lot of features (Auto Post, MultiPost, AutoTrends, Stats). Everything is developed by us from scratch. So, we can easily do any custom changes/enhancements for affordable additional price. And, if you want to have both SEO scripts and Twitter scripts, you can get it just by making $65 USD only. And, first 5 persons buying any of these two scripts or both scripts can freely get any one of our products according to their wish. See the demo of our SEO scripts and Twitter scripts to know real worth of this Special offer. If you don't want to create account for seeing demo of our Twitter scripts, you can use below test login. Refer this digitalpoint forum thread for knowing more details about this Offer. This offer is valid till Today (February 23) only. As mentioned in my previous posts, the role of Social Media especially Twitter in Business Area is becoming very important. So, we are taking lot of initiatives to develops Tools which are useful for the Business. As part of this effort, we have added new features to our Twitter Applications. Now, you can use bulk uploading option to add many Twitter Accounts easily. And, Tweets for the AutoTweet module can also be added very easily using the bulk upload option. You can see the "Bulk uploading is" menu for adding Twitter accounts from csv file. And, You can see the "Bulk uploading tweets" menu in AutoTweet module of our Twitter Applications. You can freely use all these features in our website. If you want have everything in our server, you buy the script by paying $125 USD. As a special Offer you can buy all our Twitter Tools scripts just by making $60 USD Today (Feb 22) or Tomorrow (Feb 23). Google Social Media integration has started driving Traffic. Few Days back Google has started showing Social search along with regular search results. Previously it used to show the Social Search results at bottom of the search results page. Apart from mixing the Social search results with regular results, Google has added few more features also. It will show the stuff shared by your friends with notes about your friends sharing details and it will your friends photo also. These latest changes in Google search drives more traffic to our blog. I can say that the additional traffic is more this new feature as the live traffic stats are showing search keywords which are not already associated with our blog. So, I understand that the importance of Social Media will be increased further due to these changes. In other words, the gap between SEO and Social Media optimization is getting reduced. So, I am planning to develop our Twitter Tools further by keeping this fact in mind. "Time Management is an art of allocating or Budgeting our time efficiently and utilizing it properly"
Time is the most important irreversible resource in this world.If we a master in utilizing our time properly surely we will be a successful person. "Well Planned Is Half-Done". So Before doing any work we have to plan well. If we take time and plan well, we can finish our work efficiently within the time. Preparing check list is a well known method for time management. Every day/weekly/monthly/yearly we have to prepare check list i-e what are all the tasks we have to do. Based on the check list we have to finish our tasks. In market, so many time management softwares are available. Using that softwares we can do our work properly. For example if we are having a CRM or Time sheet it will be useful to know what are all the works we have completed, How much time we spent for a particular task. According to the software we can give every details and get report. 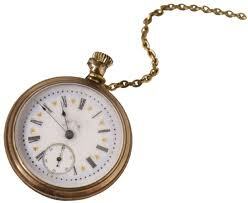 So it will be very useful for time management. It is an essential one for time management.We must first categorize our work.ie What is essential? 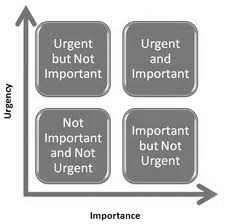 What is less important?What is urgent?What is not urgent......Based on this categorization if we do our work we can reach our goals quickly.Certain techniques are available for categorization. Our tasks are grouped into three categories. After categorizing like this we have to do first group A after that B and C.
It is a 80:20 Rule.80% of results are achieved only 20% of effort.20% of work will consume 80% of time. So first we have to do what will give high results. Don't postpone any work for future.If we start postpone our work it will become a habit.It will affect our daily work and collapse the entire system.So Never Post Pone. 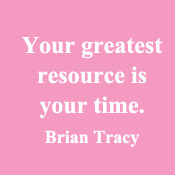 Find out which will consume our time and utilize the time properly to achieve our Goals. This article is written by Angeline Rajamanickam. You can buy web time sheet at affordable price, if you are interested to manage your time and your employees time effectively to improve the productivity. Yesterday's announcement about the partnership between RIL and BP had made lot of changes in stock market today. Google's real time Search shows that many people are interested in reading/discussing about RIL and BP. So, we have created a website rilBP.info for showing the latest news about RIL and BP. And, I am planning to sell this website to the person who is interested to use this site effectively by manually writing some articles about RIL and BP apart from the automated news. 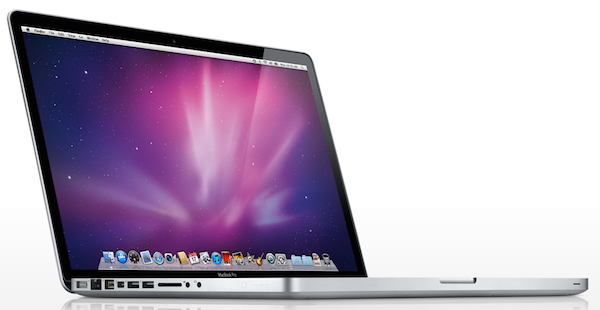 If you are interested to buy this website, you can refer this Auction. Note that @rilBP is the BIN Bonus for buying this site using BIN (Buy It Now) option. UK oil company BP and India's Reliance Industries have announced a "transformational" strategic oil and gas partnership in India. The companies will form a 50:50 joint venture for sourcing and marketing energy in India. The UK firm will pay $7.2bn to get 30% stake in 23 oil and gas blocks owned by Reliance. 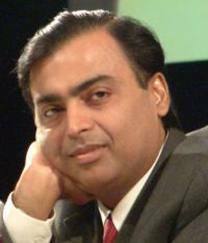 "This has huge significance for India's economic development," said Reliance's Mukesh Ambani. According to him, BP's investment would constitute the single largest foreign direct investment in India's history. Follow @rilBP to know the latest news about this deal. Fine below the press release of this deal. capabilities with Reliance’s project management and operations expertise. BP will pay Reliance Industries Limited an aggregate consideration of US$7.2 billion, and completion adjustments, for the interests to be acquired in the 23 production sharing contracts. • BP has been working with Reliance since December 2008 on the D-17 deepwater block in the Krishna Godavari (KG) basin on the east coast of India. BP, with a 50 per cent interest, operates the block and Reliance holds the remaining interest. financial parameters with a turnover of Rs 2,00,400 crore (US$44.6 billion), cash profit of `Rs 27,933 crore (US$6.2 billion), net profit of Rs 16,236 crore (US$3.6 billion) and net worth of Rs 1,37,171 crore (US$30.6 billion) as of March 31, 2010. • RIL is the first private sector company from India to feature in the Fortune Global 500 list of 'World's Largest Corporations' and ranks 100th amongst the world's Top 200 companies in terms of profits. RIL ranks 68th in the Financial Times FT Global 500 list of the world's largest companies. RIL is rated as the 15th ‘Most Innovative Company' in the World in a survey conducted by the US financial publication - Business Week in collaboration with the Boston Consulting Group. For more details go to www.ril.com. oils, premium 4-stroke motorcycle oils and multi-grade diesel engine oils. Castrol India also operates in the industrial and marine lubricants markets. Tata BP Solar, a joint venture between BP Solar and the Tata Group, has been operating in India since 1989. It is a leader in the Indian solar energy market, manufacturing solar cells, solar PV modules and systems. • According to BP’s Energy Outlook 2030, energy consumption in India has grown by 190% over the past 20 years and is likely to grow by 115% over the next 20 years, a rate of over 4% per annum. Gas is expected to be the fastest growing fossil fuel, with demand growing at a rate of nearly 5% a year between 2010 and 2030. India’s gas consumption was 5.0 bcf/d in 2009 and is estimated to have been 6.1 bcf/d in 2010 (comprising 4.9 bcf/d production plus 1.2 bcf/d LNG imports). Total Indian gas consumption is projected to grow to12.5 bcf/d in 2025, and exceed 15 bcf/d in 2030.
sharing contracts to be acquired is Rs. 1336 Crores (c. US$300 Million), as derived from the aggregate EBIT under the production sharing contracts for the financial year ending 31March 2010. And, you can read below latest news aggregated from various sources. Today is President's Day in the United States. Normally Google will show Doodle in its home page for the special occasions. But today, Google is not showing any special Doodle in its Home page. It seems Bing is showing special image today for President's Day. (Anyway, it is not appearing in India). In United States, President's Day is celebrated on the third Monday of February in honor of George Washington, the first President of the United States. You can test your memory and knowledge about US presidents here. The 2011 Cricket World Cup begins today in Bangladesh. Google has posted a special cricket Doodle on Google home page, with a cricket field background, a batsman in the middle of the doodle. The Cricket World Cup is being hosted by India, Sri Lanka and Bangladesh. It will feature 14 teams, and the final contest scheduled for April 2 in Mumbai, India. Follow @GetCricketNews to get latest news and updates about Cricket. MA Chidambaram Stadium, Chepauk, Chennai. Mahinda Rajapaksha International Cricket Stadium, Sooriyawewa, Hambantota. Sardar Patel Stadium, Motera, Ahmedabad. Punjab Cricket Association Stadium, Mohali, Chandigarh. Zahur Ahmed Chowdhury Stadium, Chittagong. See the Teams Details here. And, find below the Schedules. For more cricket stuff, you can read Yahoo Cricket. Some websites are providing live streaming of the matches.